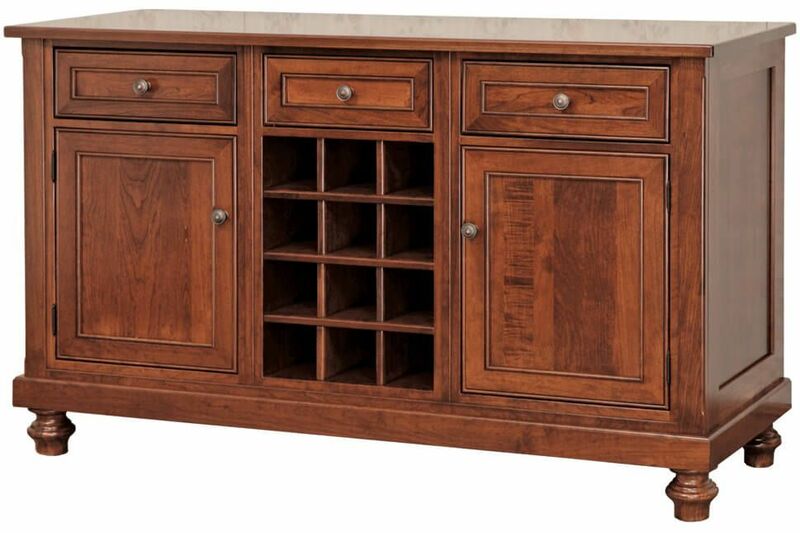 Combining bun feet, inset panels, and storage for one dozen of your finest wines, our Amish Brianne Wine Buffet is as attractive as it is useful. This lovely buffet comes with full extension drawers and open wine rack. 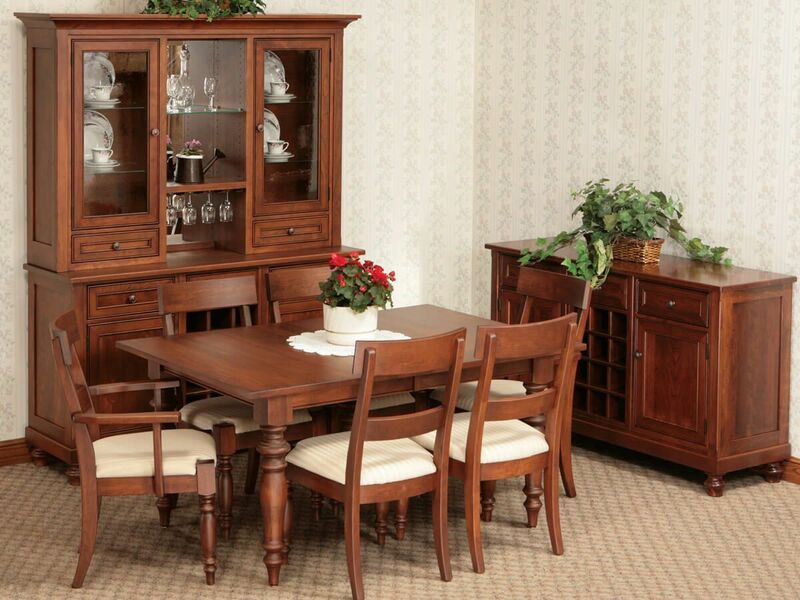 Showcased in Cherry, the Brianne Wine Buffet is available in nine hardwoods and a number of hand-rubbed finishes. Behind each inset paneled cabinet door you will find adjustable wooden shelving for easy storage, and all drawers are dovetailed for superior durability. Available in various woods and finishes, your solid wood Brianne Wine Buffet will become a prized heirloom. Each buffet is handcrafted of solid wood by expert Amish craftsmen, then finished with a catalyzed conversion varnish to ensure beauty and longevity.